This week I was lucky enough to receive a canvas from Canvas Design. They are an online store specialising in producing top quality canvas prints. They offer a personalised service allowing you to upload a picture of your choice and set it to a frame size of your choice. You upload your picture and you are then taken through the steps to ensure a perfect print personalised just for you, you can even design a collage perfect for larger families like mine! Starting at a very purse friendly £7.99 for 6×6 canvas these make ideal presents or treats for yourself. And to make it more appealing they have even thrown in free delivery too, now I don’t know about you but when I shop online delivery costs are always an issue with me and free delivery will always win hands down. 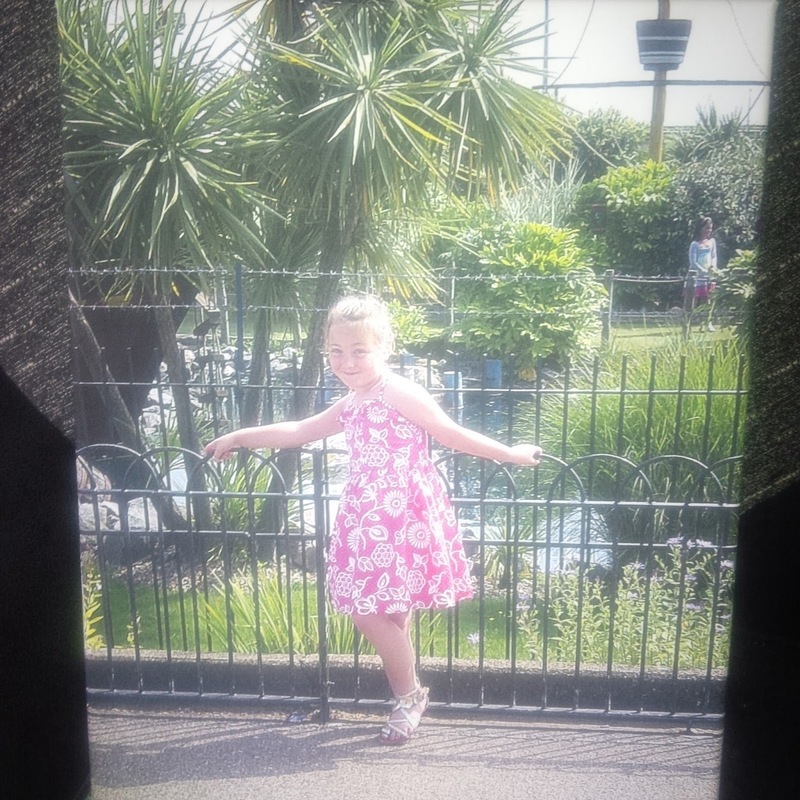 For my print I chose a lovely picture of Olivia on holiday in Aug’12 in Great Yarmouth. We had an amazing time and I thought it would be lovely to to have a picture of this to remind us of the great time we had. And……. To be honest we kind of argued over what to choose as my other favourite picture had my kitchen bin overflowing in the background, not something you want on a picture. This is our canvas and I love it. The quality is excellent considering it was taken on my phone and it is exactly how I imagined it to be. It is well put together on a very sturdy frame giving a high-quality professional finish exactly what you would expect from a company with 12 years experience. When you order a product like this there is always a packaging issue, will it be damaged before you receive it? The answer, in this case, is no. The canvas came wrapped in bubble wrap underneath a very generous cardboard parcel ensuring your canvas makes it to you in perfect condition. I am so impressed with this product I can see myself using Canvas Design again for a picture of our growing family! My mum constantly needs updated pictures of her ever-increasing brood of grandchildren! Mu husband in his Fireman's uniform – swoon !!! Ive just found a lovely pic of my 3 boys! So this really would be great!!! It would be a family photo – I'm just not sure which one at the moment! A picture of my daughter's first Christmas, dressed as an elf! Thanks for the giveaway, I'd have a nice family picture. I would put a picture of my beautiful baby daughter. we was on holiday in wales and the 2nd night we was there the most amazing sunset ever. we just sat on the beach watching the sun go down. it was fantastic. and i took a few shots and and found 1 which would be perfect. also it would be nice to look at a sunset when its chilly outside. A picture of my daughter on our hollibobs. it would be a picture of my son aged two when he was dressed in a full size fireman jacket and helmet on a navy ship! Uber cute! I would like a canvas of my little girl. She is growing up so quickly and changing everyday and this would be the perfect keepsake. My Brothers rescue cat, Milly. She is lovely. what picture would you put on your canvas? A photo I took of Uluru at sunrise. One of my children, as I don't have an up to date one. A family group photo would look cool on the wall. a pic of me and my daughters and grandaughter at the race for life! i would put me and my daughter. Photo of something from my hometown, moving in a few months so want something to remember it by. I have a photo of my late mum standing on a runway, waiting for a small plane to taxi in (she was a warrant officer in the air cadets). The sun was setting and the picture is very atmospheric. It's one of my most favourite photos of her. I would love a canvas of a landscape from one of our UK Holidays. I have a great picture of my children when younger and the dog playing in the paddling pool. I would have to have a picture of the guinea pigs popped on one as I don't have a good picture of them. A photo of my boys and my niece and nephew together.